The Tri-City School of Massage was founded by Ruth E. Williams (l917-1990). Ruth was a true pioneer in the field of massage. She received her training from the John Granger School of Myopathy and Multitherapy in 1947 and became an AMTA member that same year. She served as AMTA National President, AMTA Historian, and National Education Director. She was the first Chairman of the Washington State Board of Massage Examiners, and she authored the book, "The Road to Radiant Health". Jess C. Williams (1899-1977) co-founded the school. He received his training from the Chicago School of Swedish Massage in 1952 and immediately joined AMTA. He was the primary therapist at the Atomic Health Center until his death. Classes began at the Tri-City School of Massage in 1968 with four students gathered around the kitchen table of Ruth Williams. The classes were taught by Ruth until 1985. That year, with Ruth still in the background, her daughter Patty J. Kruschke took over the teaching duties and she has been the primary instructor since then. Patty became the owner/director of the school in 1990. Patty is a graduate of the Tri-City School of Massage and was employed full time in the massage profession from 1971 to 2008. She has been an AMTA member since 1971 and served as a member of the AMTA National Board of Directors from 1977 to 1980 and again from 1986 to 1992. From 1978 to 1985, she was a member of the Washington State Board of Massage Examiners. 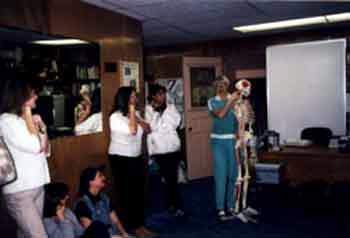 Patty was chosen by the American Massage Therapy Association to receive the Jerome Perlinski Teacher of the Year Award for 2011. This award is presented each year to an instructor in an AMTA member school who demonstrates exceptional teaching abilities and commitment to high standards of education in massage therapy. Teachers honored with this award are chosen for their inspiration, passion, principles, and motivation in developing tomorrow's massage practitioners. Her focus is on Anatomy and Physiology, Business and Pathology. Linda M. Marquis is a graduate of the Tri-City School of Massage who joined the school staff in 1993. Linda has a Bachelor of Science Degree from Pennsylvania State University and work experience in journalism, library science, and agriculture. Linda has been a Licensed Massage Therapist since 1992 in Washington and since 2006 in Oregon. She joined the staff at the Tri-City School of Massage in 1993 as a teacher's aide and later was promoted to instructor. Her main focus is Kinesiology and she also enjoys contributing to some of the more esoteric aspects of bodywork. Cyndi Murray is the daughter of Patty Kruschke (making her a third generation massage therapist). She graduated from the Tri-City School of Massage in 1999 and has been involved with the school since 1990. Upon gaining experience in the field of massage, she served as a teacher's aide for many years before becoming an instructor in 2005. She is licensed in Washington and is Nationally Certified in Therapeutic Massage and Bodywork. Her focus is on teaching Massage Theory and Practice. She assists with field trips to community events helping students to broaden learning possibilities. Patty, Cyndi and Linda are committed to keeping abreast of the latest developments in massage therapy and regularly continue their education through workshops, classes and seminars. The Tri-City School of Massage is a sole proprietorship owned and operated by Patty J. Kruschke. 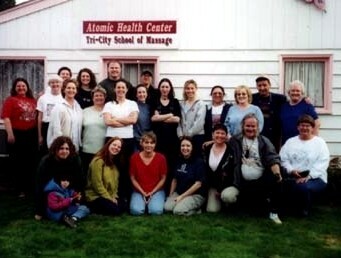 The Tri-City School of Massage provides training for a career in massage therapy. This training is well suited to the student who may desire to enter private practice, work in a full service beauty salon or spa, a health or fitness club, or in other health care facilities. 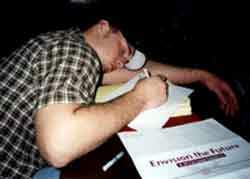 Our goal is to equip the student to deal with the day to day problems that their clients bring them. To that end, we are committed to assisting our students in achieving excellence in the knowledge, therapeutic skills, and sensitivity necessary for the successful, effective practice of massage therapy. Our philosophy is to present a comprehensive set of principles and tools from which the student can choose when faced with a particular problem, rather than teaching from a cookbook approach. Our focus is on therapeutic massage. We believe that a massage therapist should be a model for their clients, intellectually, spiritually, emotionally, environmentally, and physically (which would include being a non-smoker). Our aim is to help each student develop in personal growth and professionalism to the best of his/her ability. This school is licensed under Chapter 28C.10 RCW and has agreed to comply with the requirements and educational standards established by the board for private vocational schools in the State of Washington. This school is debt free and is a participant in the Washington State Tuition Recovery Trust Fund. Nothing in our policy prevents the student from contacting the Workforce Board at 360-709-4600 at any time with a concern or complaint. The program offered by the Tri-City School of Massage has been approved by the Washington State Board of Massage. Our graduates are therefore eligible to take the state board exams. Washington residents are required to have a state massage license. Washington State Law prohibits students from charging a fee while they are in training and they must identify themselves as students when they are doing their practice massages. They can work at other part time jobs to help earn some income. The Tri-City School of Massage is a member of the American Massage Therapy Association Council of Schools. 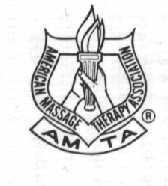 The AMTA is the oldest, largest, and most prestigious non-profit national and international professional organization serving legitimate massage therapists. Student membership in the AMTA is strongly recommended. The cost of membership in AMTA is not included in your tuition. The AMTA provides continuing education programs, annual national conventions, publications, and malpractice and professional liability insurance to its members. We would like our students to have an early introduction to membership in a professional organization, and we consider AMTA the finest available. Kennewick is located in the eastern part of the state at the bend of the Columbia River, where it turns westward toward the Pacific Ocean. It is in a very beautiful area, surrounded by lush green irrigated fields and gray rolling sagebrush covered hills. We have hot, dry summers, and the winters are mild with very little snow. Sometimes we do have a white Christmas. The school's facilities occupy 1600 square feet which includes: Two large classrooms, two treatment rooms, hall, clinic waiting room, kitchen facility for student use, three bathrooms, six sinks, shower, bathtub, office, teaching station, research library, and private changing booths for each table. Our facility provides a pleasant, homey atmosphere for the students and it is conveniently located on a quiet street in a safe neighborhood. Students doing on-site massage at a Wellness Fair.